Those of you who follow me on twitter might have noticed I’m been posting a lot of links recently. 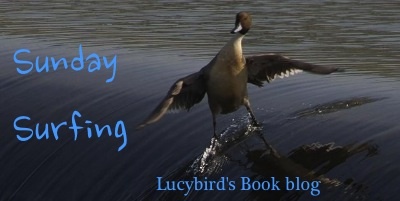 Sunday Surfing is my new feature (inspired by Chrisbookarama‘s Friday Bookish Buzz, which is one of my favourite features) where I share my favourite links from during the week, about books and blogging. Plus a little about what’s happened on the blog this week. Lets get started. Harry Potter Accessories. I like the snitch pieces personally. The Inky Fool (author of The Horologicon and The Etymologicon) found that Hamlet was blocked on British Library computers, for being too violet- don’t worry, it’s been fixed now!